Money!? Money!? This is teh internets! Information is free! Sure, there are a ton of resources out there to help you learn Japanese… web pages… apps… etc., that will do a pretty good job. 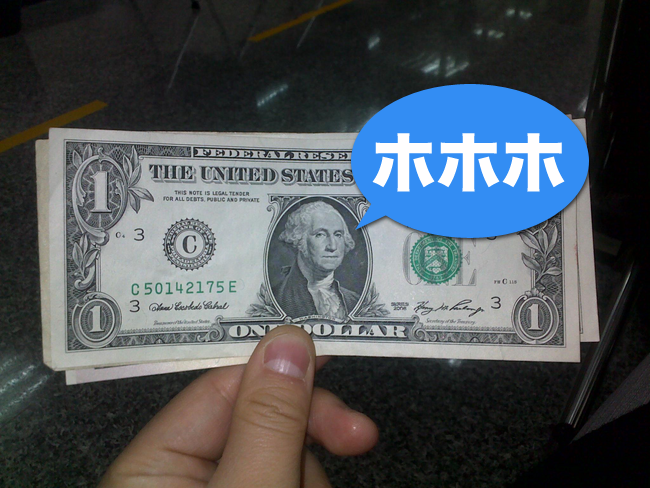 You don't necessarily have to spend any money to learn some Japanese. If you're a serious learner, though, and want to speed things up, it might be worth your while to put down $5 or $10 on a few things that could potentially help you out quite a bit. I'm not talking entire Japanese textbooks (like TextFugu!). I'm talking about smaller things you can pay for to supplement your learning. Some of these things are subscription based. Some of these things just require a one time payment whenever you need to use the service. All of these things, however, will help you to learn Japanese faster and more effectively than normal, all for under $5 or $10. To sum it up in one word: efficiency. You can't pay to inject Japanese into your brain with a syringe, but you can pay for things that will help to make the things you already have to do easier (and more importantly, more efficient). Most Japanese learners go through the same kinds of things, and the same kinds of hardships. Why not flash a Jefferson or two to not have to go through some of the more unnecessary ones? The following are a few of my favorite paid resources for helping you to learn Japanese faster. A couple I use a ton, and one of them is new (to me). The thing that makes these resources unique, I think, is that they definitely aren't good for learning Japanese if they are the only thing you're using. These will all help you to supplement your Japanese learning along with something else (or some other things) – they won't be able to single handedly teach you Japanese, unfortunately. MyGengo is the "new" resource. I don't believe I've mentioned it before, though I haven't (in the past) thought of it as much of a way to help with Japanese learning (and only thought of it as purely a translation service… which is pretty much what they are). There are times in Japanese study where you either 1) can't for the life of you figure out what something means and 2) can't for the life of you figure out how to say something in Japanese. First, you'll have to create an account (I tried putting my test translation in first, then submitting it, and when I created an account it deleted the thing I put in to get translated and I had to re-submit, dang!). 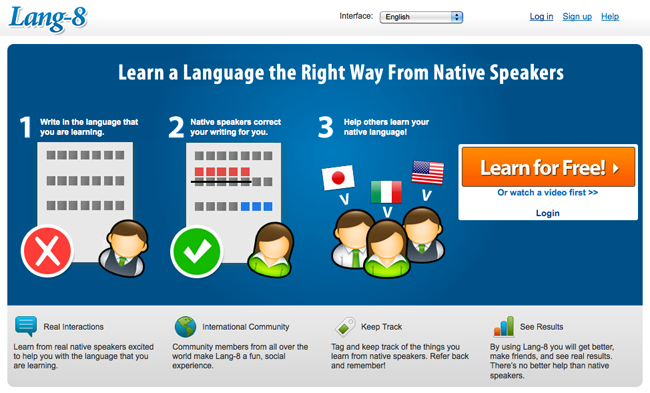 Then, you choose what language you want to translate from and to. Japanese to English is 3 cents per character. English to Japanese is 5 cents per character (at least for the standard level translation, which should be all you need). If you stick an essay in there, then it might get pretty expensive, but I'm thinking this could be useful for single sentences or short paragraphs, mostly for when you're really really stuck. After you put what you want translated into the system, you just wait a bit (mine took a couple hours to be completed, pretty quick if you ask me), and then get your translation. I translated four of Shinnosuke's Tweets (he's the other guy in Cat Island, Part 1) just to try it out and it worked well. Gotta say, I was a bit impressed. So, if you're having trouble with one sentence … or if you need to translate something really bad (and can't figure out how to), give MyGengo a try. The four tweets consisted of 125 characters (and around 8 sentences, I'd say) and cost $3.75 to translate. If those were 8 sentences I couldn't translate on my own, that's $3.75 of well spent money, I'd say. Afterwards, you can compare the translation and the original, and try to figure out what you couldn't figure out before (and hopefully learn something from it). The worst thing you can do when studying is get stuck. This will help so you don't ever have that problem. Lang-8 is one of those sites that I just can't stop loving. You can (and should) use it for free. It allows you to write journal entries in the language you're learning, and get them corrected by native speakers (for this article, let's assume that's Japanese). In theory, you'd help out by correcting people's English too (or whatever your native language is). It's all about helping each other and language exchange. If you're upper beginner / intermediate or above, you should be using this site every day. It's seriously awesome. There's also a premium version of Lang-8 you can pay $5 a month for (or $45 for the year). When this first came out, there weren't too many features. Now, though, I think it's definitely worth that tiny monthly payment. $5 is barely enough to buy lunch, after all. There are many other features you get with premium, but I have a few favorites (that make it worth while on their own, I think). By paying $5 per month, your entries get a special background color and show up higher in people's feeds, meaning they get more corrections and get corrected faster. Time is worth paying for, I think, and this is something that will give you more time to study Japanese. You'll be able to write more entries in the same amount of time (and get them corrected faster) and you'll get higher quality corrections (in theory) because more people will correct your entries. This is my favorite feature of premium Lang-8, I think. It just saves you time and helps you to learn Japanese more quickly. If you take #1 to heart and write a ton of entries, you'll start finding that it's hard to find them all. With language learning, being able to go back is pretty important, I think. This just makes that easier. If you need to take a look at a specific correction that you learned something from (but apparently don't remember it), this feature is awesome and helps a ton. If you're the type of person who likes things on paper, this feature is great. It lets you get your journal entries and corrections in PDF format, allowing you to print them out and study with them. It also just makes it easier to study what you've done on Lang-8. Whether you like studying on paper or not, I'm a big fan of this one. Things suddenly become easier when you print them out in the special Lang-8 PDF version of your journal entries. If you're really serious about your Japanese studies, and want to learn way, way faster, use Lang-8. If you want to be faster than fast at learning Japanese, pay for Lang-8 Premium. Totally worth it. If there's one service I use more than any other on my computer/iPhone/iPad … it's Evernote. It's one of those applications you don't think you'll need even if you start using it for a while. But then, if you keep using it, you'll start realizing what you've been missing all this time. I use it to keep track of photos, articles, parking spaces, apps to try, and everything else in between. Ways you can use Evernote are literally just limited only by your imagination. You can use Evernote to keep track of vocab words, sentences, and so much more. 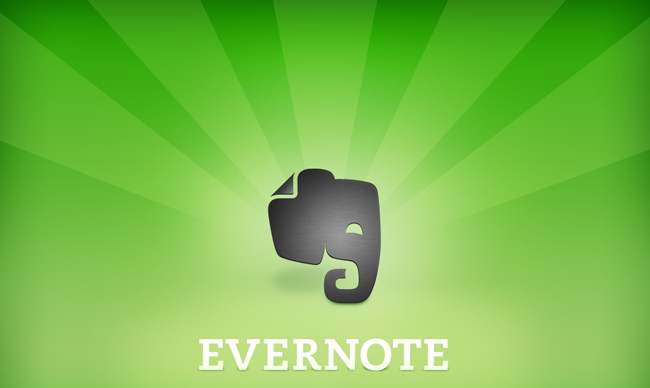 The premium version of Evernote ($5 per month or $45 per year) takes Evernote and supercharges it for you. Here are the premium features I use for Japanese studies (though I use it for so many other things too, making it an incredible value for me). This is the most useful thing on Evernote Premium (especially when it comes to Japanese). You can put PDFs, text, and whatever else you want into Evernote on your computer and then sync it with your phone. With local storage (regular Evernote stores everything in the cloud and makes you pull it from there on your phone) you'll have everything ready to go. I'm working on a post about "Japanese on the go" and this plays a huge role in what you can and can't do. This is especially helpful when you have an AT&T iPhone, and can't rely on having any reception anywhere away from wifi. Standard Evernote allows for images, audio, ink, and PDF, which is pretty much all you need (I love saving Japanese audio files and Lang-8 PDFs), but sometimes it's nice to have other file formats as well. It doesn't come into play too often (most of your Japanese studying stuff is going to be in one of those formats), but if you need to put Word files, or something like that, you'll wish you had it. Also nice is the ability to see your note history. If you're using Evernote to study Japanese, you're probably changing things, moving things around, and taking notes on things. With note history, you can see those changes. I don't use this all the time, but I've found it really helpful quite a few times. What Premium Services Do You Use? I've only listed three things, and I'm sure there's plenty more out there. What pay services do you use to supplement your Japanese study? Try to keep it down to below $10 payments – We're looking for things that just help you to get an advantage over everyone else, and no more. I'm curious what you'll come up with! You folks are pretty smart that way ; ) Let us know on Twitter or Facebook.